Riverside, CA 4/19/2011 – It was another succesful weekend for R.J. Anderson and his Walker Evans Racing Team in Surprise, AZ for Rounds 3 & 4 of the Lucas Oil Off Road Racing Series. The team came into Surprise with a new look on the #37 Walker Evans Racing / SoCal Super Trucks / Polaris Industries Super-Lite Truck and a freshly rebuilt Walker Evans Racing / South Point Hotel & Casino / Polaris Ranger RZR XP900. But the same aggressive and smooth driving of R.J. Anderson remained. It did not take R.J. long to find his groove at Speedworld, qualifying first in Super-Lite for both rounds held this past Saturday and Sunday. In the Main on Saturday R.J. fought hard with both CJ Greaves and Jacob Person to get on the podium. R.J. would fall a bit short of taking the top position in Round 3 but the Walker Evans Team was happy to see the #37 on the podium in 3rd position, collecting important points for what will surely be a tight and hard fought battle for the Super-Lite Championship. Sunday’s Round 4 race would be more of the same in the Super-Lite class with a tight battle being waged amongst the young guns of the series. R.J. found himself in a battle for 2nd place with fellow UTV racer Chad George. R.J. and Chad have been competing against each other for years so this is familiar territory for both drivers. They would come into the last lap racing side by side but it would be R.J. who would finish in 2nd and once again collecting those ever important championship points. 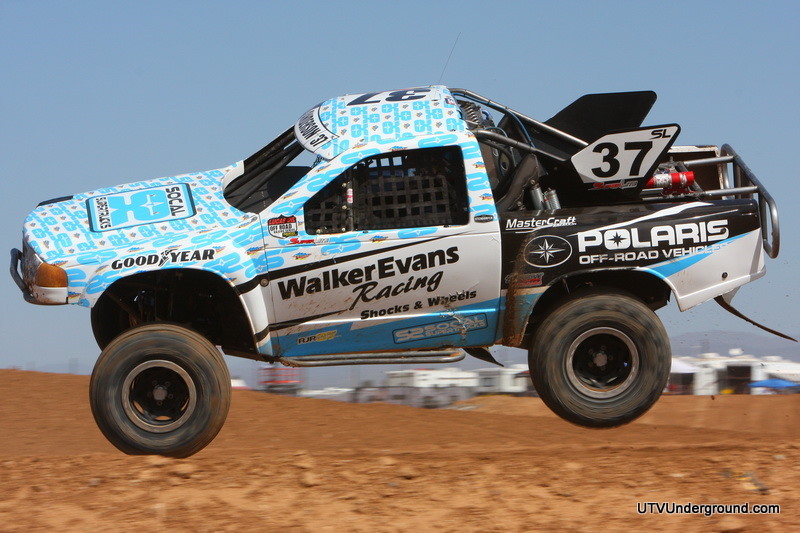 The #37 Walker Evans Racing / SoCal Super Trucks / Polaris Industries racing team will be watching closely when the Lucas Oil Off Road Racing Series points standings are released on Wednesday. After a terrible accident in the Round 2 race at Firbird the Walker Evans Racing / South Point Hotel & Casino / Polaris Ranger RZR XP900 team had to go back to the shop with intentions of re-working the car in time to compete in Surprise only a couple weeks away. Much like rounds 1 & 2 the UTV would get completed just in time to line up for practice but in true Walker Evans Racing style the car was not only ready to race but it was better than before. 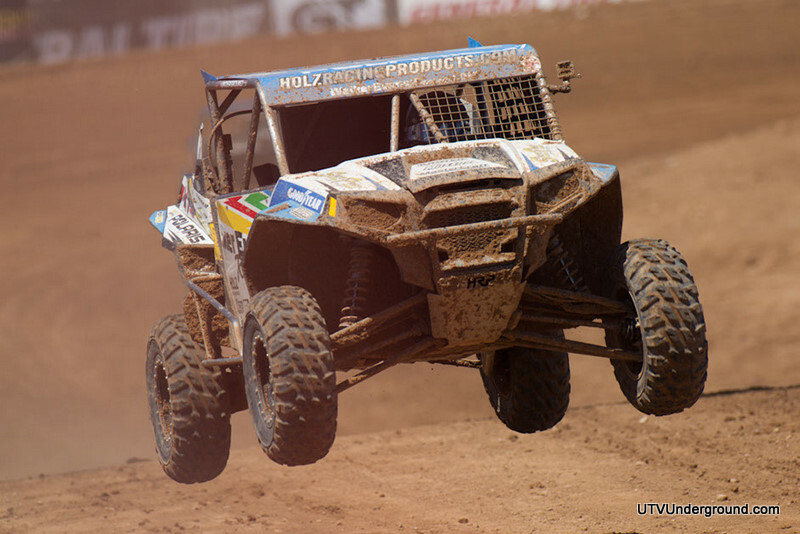 Sponsors Polaris Industries, Holz racing, and Kroyer Race Engines once again came to the rescue to help Walker Evans Racing get the car back into racing shape. R.J.then came out and turned off the fastest lap time in practice and qualified first for Saturdays Main event! Despite having the fastest lap time in the Round 3 Main, R.J. would fall just short of Chad George for the win and would take a hard fought 2nd place trophy home for himself and the team. Round 4 on Sunday would have R.J. once again finishing 2nd place behind long time competitor Tyler Winbury. 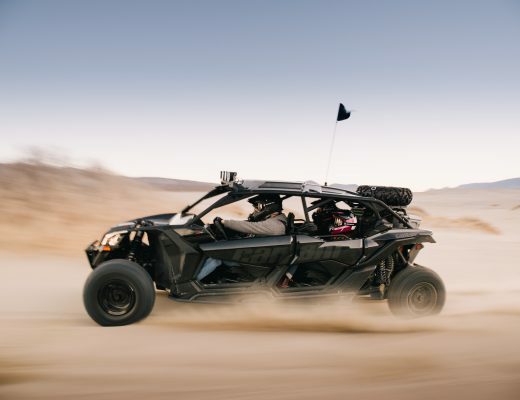 Anderson and his #637 Walker Evans Racing / South Point Hotel & Casino / Polaris Ranger RZR XP900 was really running strong and having these 4 rounds of racing under their belt is going to give them some good stuff to go and work on to get this machine even faster. This is a new platform for Polaris, a new engine and suspension design that is now really starting to come together. The Walker Evans Racing shocks will continue to be fine tuned, the Kroyer motor package will get stronger, and R.J. will continue to come out with a will and desire to finish on top for himself and for his team.